This body cream melts into the skin to help the body fight against skin slackening while bringing 48h of hydration. The email has been sent. Thank you for contacting us. An error occured while sending the email. Share your L'Occitane moments with us ! Enriched with powerful almond extracts, our Almond Milk Concentrate melts into the skin in a creamy and silky texture, to help the skin look firmer and smoother while bringing 48 hours of hydration. Skin feels nourished and comfortable thanks to the association of almond milk and oil, which helps to moisturize and soften the skin. A new complex, associating walnut seed and almond extract, helps to protect skin elasticity while stimulating cellular renewal, making skin seem smoothed and tightened. Skin looks firmer and redensified thanks to the action of almond proteins and a silicium derivative. After one month of use, body contours are better defined, while skin looks firmer and satiny-smooth. The almond nut, which grows protected in a beautifully soft and green velvet shell, is renowned for its ability to soften and smooth the skin. 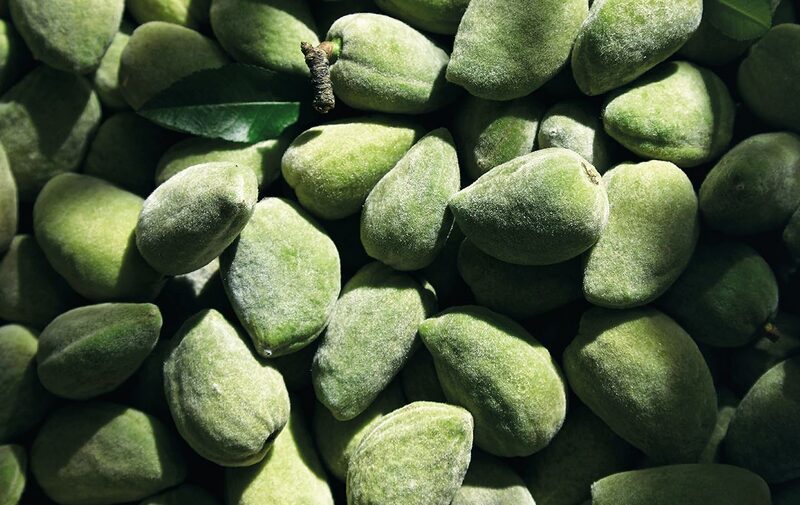 L’OCCITANE is committed to purchasing almonds from producers in the South of France so that the almond tree, which had long been forgotten in the region, once again becomes a familiar element in the Provençal landscape. AQUA/WATER** - ISONONYL ISONONANOATE - CYCLOMETHICONE - GLYCERIN** - CETEARYL ALCOHOL** - METHYLSILANOL MANNURONATE - CAPRYLIC/CAPRIC TRIGLYCERIDE** - PRUNUS AMYGDALUS DULCIS (SWEET ALMOND) OIL** - PRUNUS AMYGDALUS DULCIS (SWEET ALMOND) PROTEIN** - PRUNUS AMYGDALUS DULCIS (SWEET ALMOND) SEED EXTRACT** - JUGLANS REGIA (WALNUT) SEED EXTRACT** - PARFUM/FRAGRANCE - CETEARYL GLUCOSIDE** - PPG-26-BUTETH-26 - CARBOMER - SODIUM POLYACRYLATE - PHENOXYETHANOL - CHLORPHENESIN - MANNITOL** - ETHYLHEXYLGLYCERIN - PEG-40 HYDROGENATED CASTOR OIL - MENTHYL LACTATE - SODIUM LAURYL SULFATE** - GLYCERYL POLYMETHACRYLATE - BIOSACCHARIDE GUM-1 - SODIUM METABISULFITE - SORBIC ACID - GLYCERYL STEARATE SE - XANTHAN GUM - BENZOIC ACID - DEHYDROACETIC ACID - POLYAMINOPROPYL BIGUANIDE - TOCOPHEROL - LIMONENE - LINALOOL - COUMARIN. No alcohol, No BHA, No BHT, No EDTA, No formol or formaldehyde, No mineral oil (oil-free), No parabens, No phtalates, No synthetic colorants, No triclosan. Make your review even more helpful to other customers! Share some information with other customers to make your review even more helpful to them. Your message was successfully sended. It should be soon online.